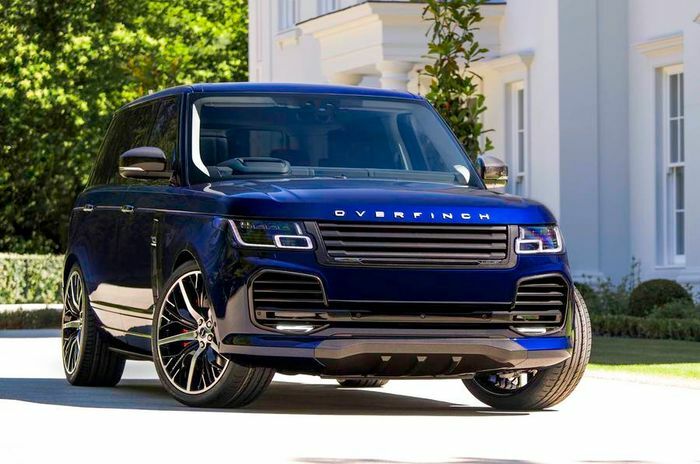 Overfinch has been customising and tuning Land Rover and Range Rover products for a long time, but has recently moved away from messing with engines and focused on coming up with slightly mad new ways to customise both the interior and the cabin. 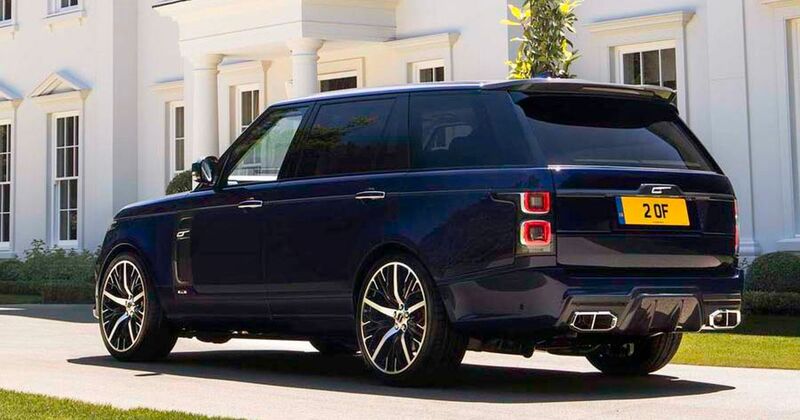 As such, drink-in the latest example of an Overfinch Range Rover, in all its very-obviously-meddled-with glory. 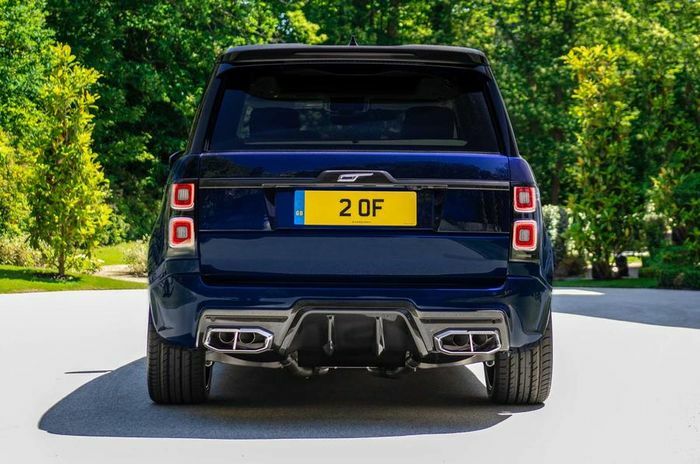 It’s a demonstrator built to showcase the kinds of things that the company can offer, although Overfinch is at pains to stress that customers can ask for more or less whatever they want. The demo car’s carbonfibre grille and front vents are new and bullish. If it’s in your mirrors, you’ll know. The Range Rover badge across the front edge of the bonnet has been replaced with an Overfinch one in the same style, as per tradition. More carbonfibre comes down the sides and at the back, with an aggressive rear diffuser and – sadly – giant, fake exhaust tips. The real exhaust tips look great as they are; we don’t see a reason to semi-hide them. Weight loss is a theme, with all the bodywork mods reportedly made from carbonfibre and the bespoke wheels weighing in at a useful – but unspecified – amount less than the standard items. Inside, the leather you see here is super-high-end Scottish Bridge of Weir cow hide in a two-tone design called Lumière. 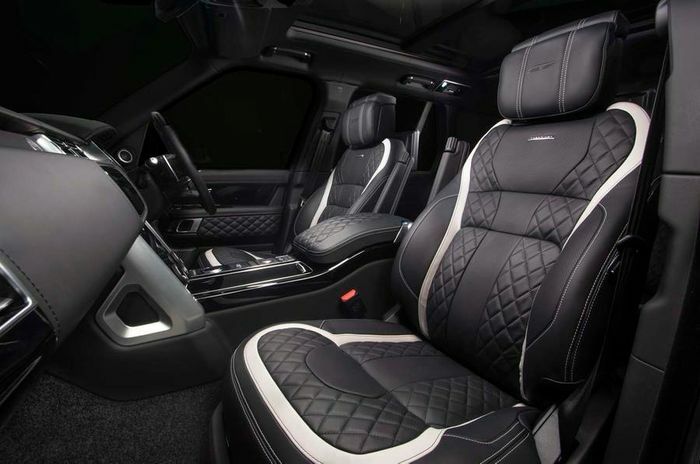 But Ostrich leather is an option that Overfinch suggests, in tandem with shagreen, which is untanned leather from, weirdly, a shark, a stingray or a horse. The sky is each customer’s limit, says the company. So is the potential cost. This is definitely a case of if you have to ask, you can’t afford it.